Wouldn’t life be dull without light? Light is the most important tool of guidance, which we need to see and go about our daily activities. Today, the emergence of technology allows people to utilise other valuable uses of light. The light coming from the sun is used to influence different devices all over the world. Light is a means of communication. Devices like lasers, flashlights, beacons and reflective devices prove that they are useful tools in the conveyance of messages. Lighting is an important part of the information system provided to drivers and pedestrians. With the use of light, the drivers can easily see the road. Drivers can see the traffic signals, road signs, road markers, actual and potential obstacles as well as oncoming cars and their signals. As the evenings draw in, many workers find themselves traveling to and from work in the dark. Without daylight, the opportunity for possible accidents rises crucially. With the development of technology, devices were designed that could be useful to drivers and commuters for their safety, and this device was the flashing warning beacon. What is a flashing beacon? Flashing beacons can transcend other traffic control devices, where additional signalling and warning for drivers is desired. This device gives the signal to a driver especially when there is an unusual condition, like uncommon roadway conditions or there is a narrow bridge ahead. FLASHING BEACON COLOUR: WHAT SHOULD I USE? Yellow beacon light – used as warning lights for stationary service or slow moving vehicles on the public route. They are also commonly used for public and private road construction, vehicle visibility on airport route, and visibility on construction sites. It is also used for building warning light to prevent potential danger. Blue beacon light – only allowed to be used by law enforcement personnel in some public places like highways and streets. 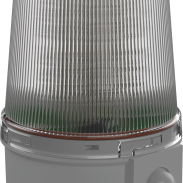 Firefighters can also use this beacon light depending on particular jurisdiction. Green beacon light – frequently corresponding with safety or security. It is also used in emergencies in communities as well as used on mobile command posts by fire officers to signify that a vehicle is on the scene. Some jurisdictions use this green beacon light as a guiding vehicle for funeral processions. White beacon light – used often as the secondary light colour for vehicles. This is particularly used in public transformations like school buses. Red beacon light – corresponded with emergency situations and is generally accepted for emergency workers and vehicles. In buildings, a red beacon light is usually used as a warning for risky conditions or processes. Red beacon lights are often used by firefighters, and police. 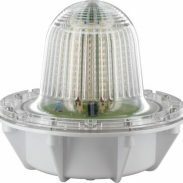 Flashing beacon use in road tunnels is very useful because it gives the signal to the driver and alerts the driver about something. Using flashing beacons in road tunnels to prevent accidents is very important, as we don’t know what will happen whilst we are travelling. There are different flashing beacons in various locations; you can see warning beacons in highways, streets, and vehicles as well as some buildings, to secure the safety of people. Travelling through tunnels is usually a more convenient, direct route to a desired location. Yet, you need to pay specific attention to be safe while driving through a tunnel since the road environment is enclosed. Flashing beacons in road tunnels are used to increase safety, and as an obvious alert to danger, or to warn of a hazard. Due to the restricted space, it is imperative to ensure drivers are aware of pending dangers to allow a safe passing through the tunnel. The development of technology gives us the opportunity to invent and improve useful devices. Warning beacons these days, have become a very important invention; however, we have to make sure that they are used properly to gain maximum value.